Press Corner | Apothecare (Pvt) Ltd. 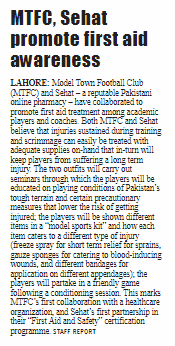 This entry was posted in Press Corner and tagged Apothecare, biofreeze, crepe bandages, d block, deep heat, dicloran, first aid, football ground, gelpack, icepack, lahore, limited, model town, model town football club, mtfa, mtfcpk, mustbuy, pakistan, private, pyodine, sehat online pharmacy, sehat pharmacy, sehatpk, yeh aap ki sehat hai on May 6, 2017 by Bilal Mumtaz. 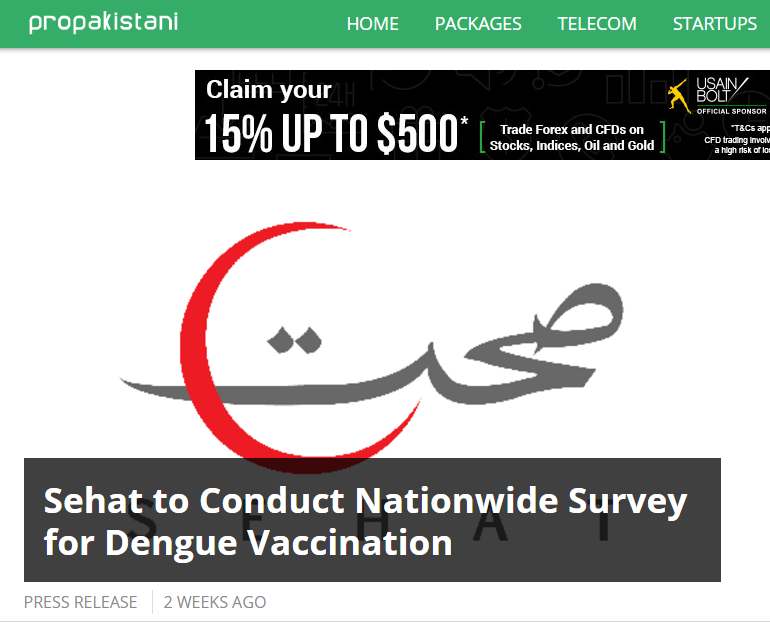 This entry was posted in Press Corner and tagged buy medicines online, conduct, dengue vaccine, dengvaxia, fazal din, fazal din and sons, nationwide, online marketing, online pharmacyf, online pr, pakistan's largest blog, propakistani, sanofi pakistan, sanofi pasteur, sehat, survey, tech news, yeh aap ki sehat hai on March 24, 2017 by Bilal Mumtaz. 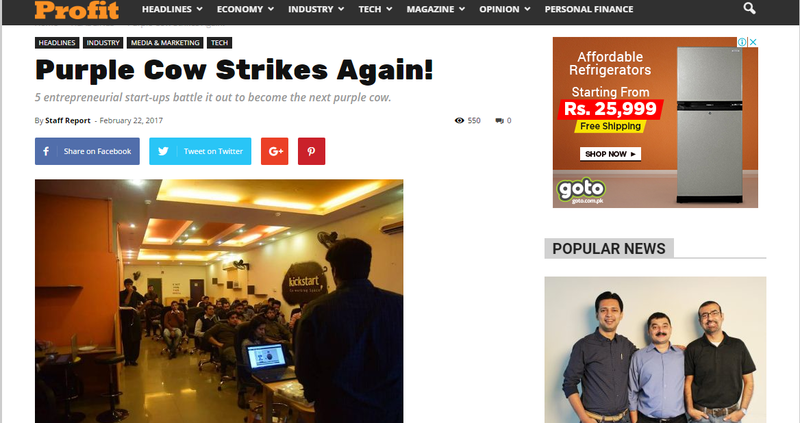 This entry was posted in Press Corner and tagged aitomation, bilal mumtaz, callivu, diygeeks, ecommerce, fazal din, first aid kit, khawaja raza abbas, kickstart co working space, nazdeeq, online pharmacy, pakistan ecommerce, pakistan today, profit magazine, purple cow, saad riaz, website, yeh aap ki sehat hai on February 22, 2017 by Bilal Mumtaz. 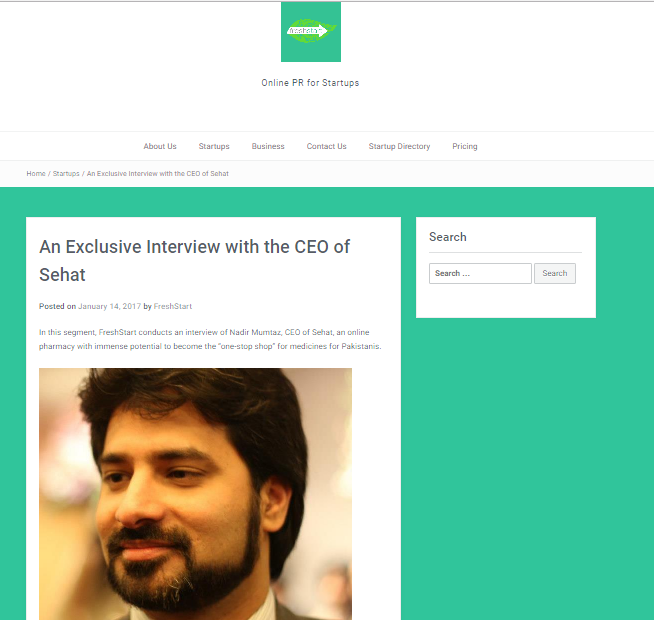 This entry was posted in Press Corner and tagged Apothecare Private Limited, ceo, exclusive interview, fazal din, fresh start, freshstartpk, nadir, nadir mumtaz, online pr, pakistan, Reed College alumni, sehat, sehat online pharmacyf, sehat.com.pk, startups, yehaapkisehathai on January 14, 2017 by Bilal Mumtaz. 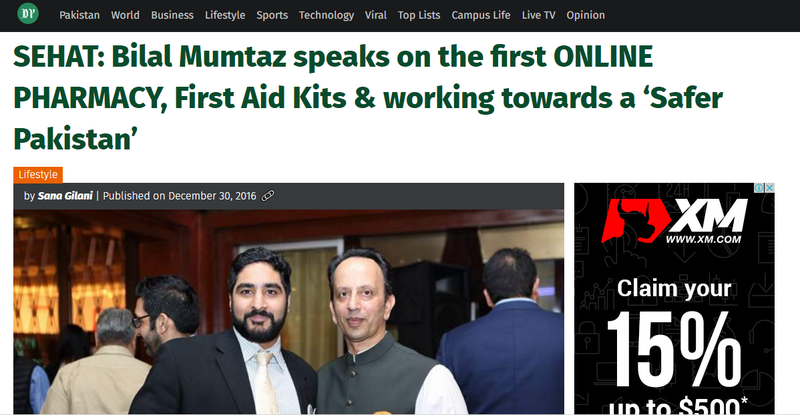 This entry was posted in Press Corner and tagged bilal mumtaz, daily pakistan, fazal din, first aid boxes, first aid kits, home care, Humayun Mazhar, j&j, media, online pharmacy, online pr, pyodine, safer pakistan, safer pakistanf, sana gillani, sehat, sehat.com.pk, tape, TiE, yehaapkisehathai on December 30, 2016 by Bilal Mumtaz. 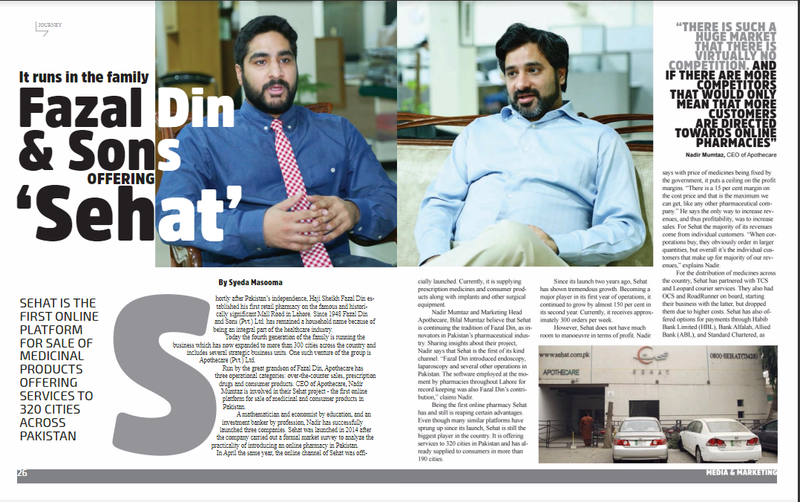 Sehat proudly makes it into the third edition of Pakistan’s Leading Business Magazine. This entry was posted in Press Corner and tagged 2012, bilal mumtaz, business pakistan, DRAP, drug regulatory authority pakistan, fake medicines, fazal din, magazine, Ministry of Health, MOH, nadir mumtaz, online pharmacyf, pakistan, pakistan business, pakistantoday, pharmaceutical industry, PIC, profit, Punjab Institute of cardiology, sehat.com.pk, sehatpk, yehaapkisehathai on December 13, 2016 by Bilal Mumtaz. 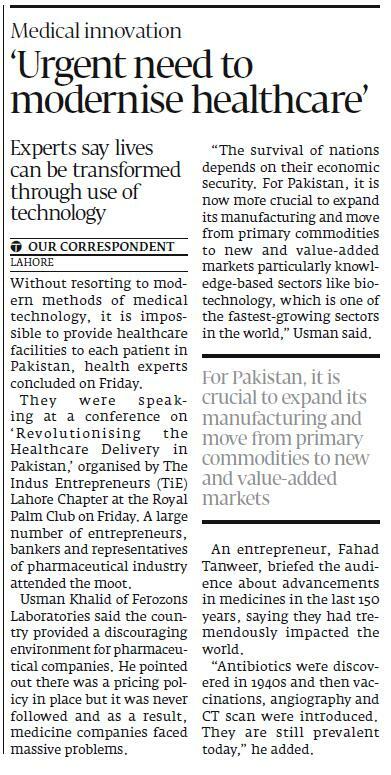 This entry was posted in Press Corner and tagged Fahad Tanveer, Faisal Khokhar, Ferozsons, healthcare, Humayun Mazhar, nadir mumtaz, Osman Khalid Waheed, panel, Ramzan Sheikh, Remington Pharmaceuticals, revolutionizing healthcare delivery in pakistan, Royal Palm, sehat, sehat.com.pk, The Indus Entrepreneurs, TiE on November 26, 2016 by Bilal Mumtaz. This entry was posted in Press Corner and tagged 0311 11 73428, call now, eye wash stations, fazal din, fazaldin, help us, journalism, lahore, lahore smog november 2016, newsweek, online pharmacy, pakistan, pharmacy, sameen khan, sehat, sehat.com.pk, smog, smoked out, surgical masks on November 3, 2016 by Bilal Mumtaz. 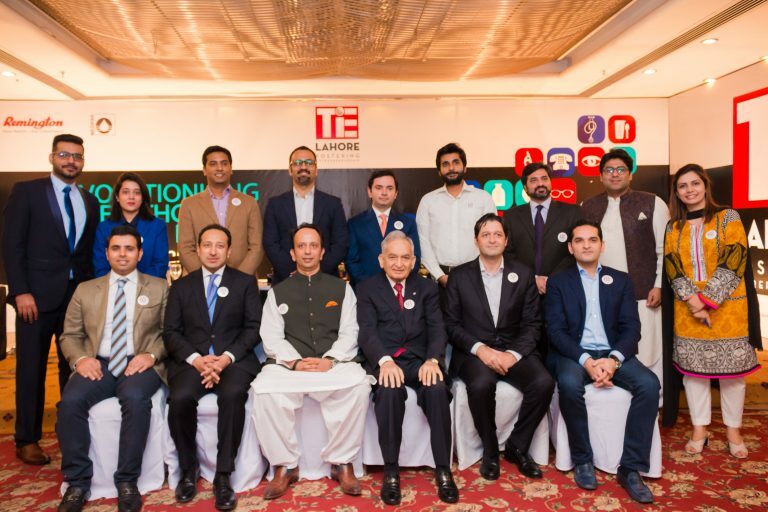 Sehat.com.pk is a partner of Pakistan Cricket Museum, in providing sponsorship to their events and preserving the rich cricketing history of Pakistan through extended promotion. 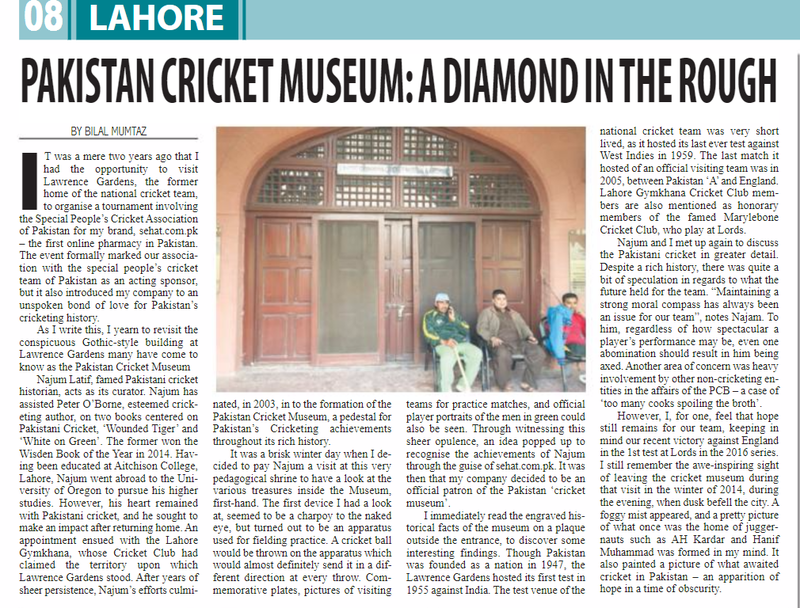 This entry was posted in Press Corner and tagged bilal mumtaz, business, cricket, director, fazal din, lawrence gardens, najum latif, online pharmacy pakistan, online pharmacyf, pakistan cricket museum, partnership, sehat, sehat.com.pk, sehatpk on July 24, 2016 by Bilal Mumtaz. This entry was posted in Press Corner and tagged 20 to 60 percent market, Apothecare, book-keeping, ceo, cloazaril, colzaril, DRAP, Drug Regulatory Authority of Pakistan, fake medicines pakistan, ferinil, government, myhep, mylan, nadir mumtaz, newsweek, online pharmacy, sehat.conm.pk, sehatpk, spurious drugs, supply chain medicines Pakistan on May 28, 2016 by Bilal Mumtaz.